It took only 15 minutes to show the power of Jewish community connections to respond to human needs. 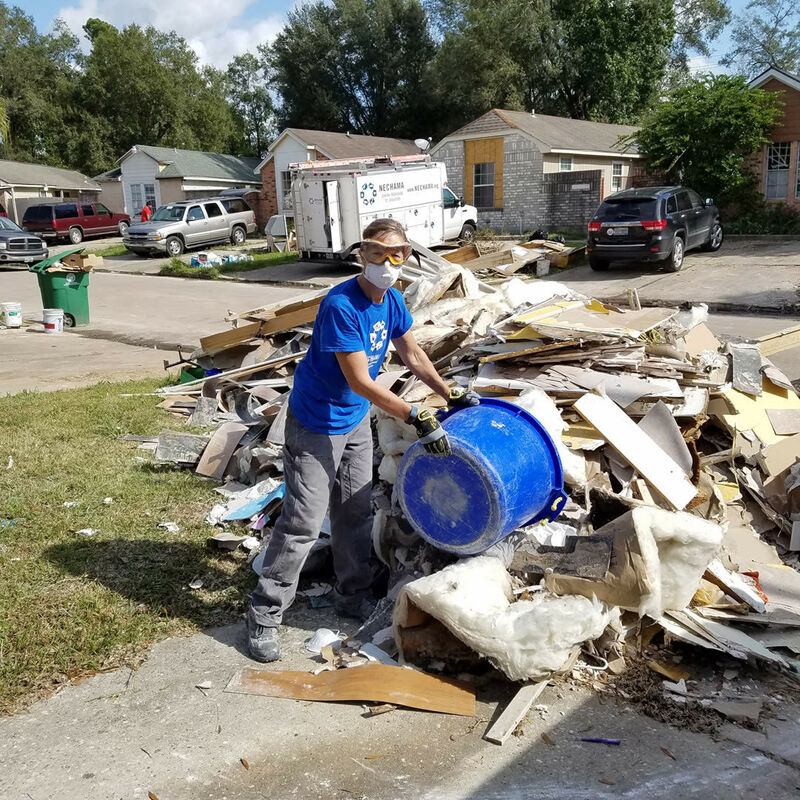 On the day before Rosh Hashanah, Seattle community member Debra Mailman, working as a volunteer on disaster case intake to help Houston families stricken by Hurricane Harvey, was on the phone at Jewish Family Service Houston, contacting flood victims to assess their needs and offer assistance. Debra spoke with a woman who had lost her only means of transportation — a bicycle damaged in the flood — and did not have the $400 it would cost to get it repaired. Houston CEO Linda Burger to turn the donation into a grant and assure the woman her bike would be taken care of. “People want to help. People want to do something specific and feel that it matters. That’s why I’m here,” Debra says. The woman with the flood-damaged bike was one of many tragic stories of loss and lives turned upside down that Debra heard during her volunteer service. “The need is just overwhelming,” she says. Listening to many heart-wrenching stories took an emotional toll, but Debra feels the impact of the work is worth it. “It feels like what I am doing matters.” In talking to people in pain, she can “help them understand that the community really cares. The most amazing thing is that my words are not hollow, because they are backed up by the resources we can offer these folks — resources only made possible because our community is fully funding these efforts.